I’ve always been a fan of OxiClean for getting tough stains out of my kids’ clothing, but sometimes they need to soak awhile before I can actually wash them, and that’s not always convenient. So I was thrilled to hear that OxiClean just released the new Max Force Gel Stick Pre-Treater which makes pre-treating stains a snap. So far it’s worked just as well on my tough stains as when I soak them in the regular OxiClean, so I’m quite pleased with it. 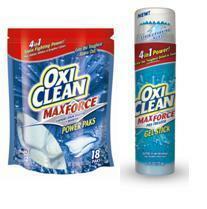 Plus the new Max Force Power Paks makes treating regular loads so easy. Just toss in a pre-measured pack with the wash cycle! Ten lucky Deal Seeking Mom readers will each win an OxiClean Max Force prize pack that includes OxiClean Max Force Power Paks and a Gel Stick Pre-Treater. To enter, tell me what’s the hardest spot you’ve successfully removed from clothing. 1. Leave a comment. What’s the hardest spot you’ve removed from clothing? 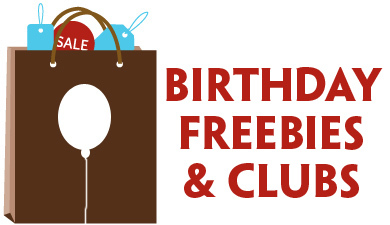 This giveaway ends at 7:30pm EST on Thursday, 3/11 and is open to all U.S. residents 18 years or older. I’ll use Random.org to select the winning comment. Winner will be notified by email and listed on my Giveaway Winners page. Winners must respond within 48 hours of notification to claim their prize. Good luck! Healthy Choice just introduced four new varieties of Café Steamers, four new All Natural Entrées and three new Select Entrées, all with Mediterranean flavors as the inspiration behind them. I recently had the opportunity to sample a few of the new flavors, and I found them to be pretty tasty. I really enjoyed the Balsamic Garlic Chicken Café Steamers, and I’m looking forward to trying the Spicy Caribbean Chicken Select Entrée. 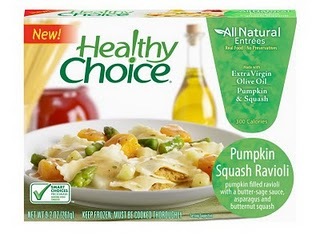 But you don’t have to take my word for it because Healthy Choice wants to send five lucky Deal Seeking Mom readers will 5 FREE Healthy Choice Entrée product coupons to give them a try! To enter, tell me what your favorite microwave dinner is. 1. Leave a comment. What’s your favorite microwave dinner? 3. 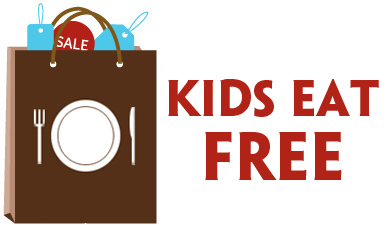 Follow @DealSeekingMom on Twitter and tweet the following. Be sure to come back and leave a separate comment with the link to your tweet! This giveaway ends at noon EST on Thursday, 3/11 and is open to all U.S. residents 18 years or older. I’ll use Random.org to select the winning comment. Winner will be notified by email and listed on my Giveaway Winners page. Winners must respond within 48 hours of notification to claim their prize. Good luck! If you’re looking for a truly flexible gift that’s a little more personal than cash, Sears’ new gift cards may be the answer. 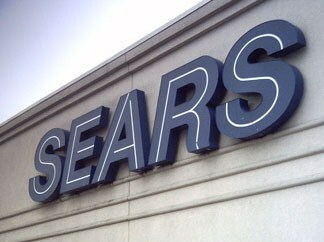 Now, you can use your Sears gift card at Sears, Kmart, The Great Indoors and Lands’ End, making it easier for recipients to find something they want or need! Sears sent me a $200 gift card to experience the flexibility that it offers firsthand, and I have to tell you, it really was that simple. I was able to shop from the comfort of my own home (in my PJs I might add) and check off a good portion of the items that were on my Christmas gift list. 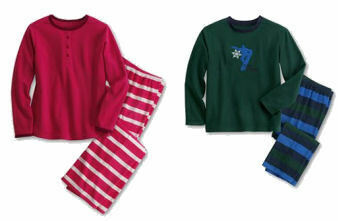 I’ve mentioned before that we have a tradition of buying our kids new jammies that are a present from Mom and Dad that they receive on Christmas Eve, so I was able to pick up five pairs of fleece pajamas (2 pink and 3 green) from Land’s End. These should make for some cute Christmas morning photos! I was lucky enough to get 25% off and free shipping, so that left me a decent amount to spend at my next stop, Kmart. I was able to pick up the last two items we needed for our two oldest boys’ main gift of the year — a PlayStation 3 courtesy of saving up my Swag Bucks! I had just enough to score this cool metallic blue PS3 controller and the component cables to hook it up to the TV. I honestly had no idea that Sears gift cards could be used anywhere else other than Sears prior to working with them on this project. Being able to shop multiple stores is not only convenient, but it makes a Sears gift card a good choice for a family gift because you’re sure to find something for everyone between the four stores you can use it at. But why not try it for yourself? Sears didn’t want to leave my wonderful readers empty handed, so two lucky Deal Seeking Mom readers will each win a $50 Sears gift card so they too can experience the convenience and flexibility! To enter, tell me whether you prefer to shop online or in the physical store! 1. Leave a comment. Do you prefer online shopping or going to brick-and-mortar stores? 3. Join the new Deal Seeking Mom Forums to chat about your great finds, special coupon codes, and chances to win exclusive giveaways. Leave a separate comment letting me know you’ve joined or that you’re already a registered user! This giveaway ends at 11:59 p.m. on Friday, 12/18. I’ll use Random.org to select the winning comment. Winner will be notified by email and listed on my Giveaway Winners page. Good luck! Every year we have the same struggle over what to buy the kids for Christmas. As you have more and more children, your choices decrease because you probably already have hand-me-downs. Compounded by the fact that we don’t just want a lot of stuff without lasting appeal, we have quite the task when coming up with a gift list. Enter the Fisher Price Laugh & Learn Learning Farm . BSM Media recently sent us this cool toy so my little guy could give it a whirl. We already own the Fisher Price Learning Home because we purchased it several years ago for my oldest daughter. That one remains a favorite even today, so I wondered how the farm would stack up. Neither I nor my kiddos were disappointed. The farm is every bit as adorable as the house and has tons of great interactive play options. Even my older kids were fighting to play with it, so of course my little guy was in seventh heaven with all of the attention. I can absolutely see this toy having the same longevity in our household as the Learning Home has. 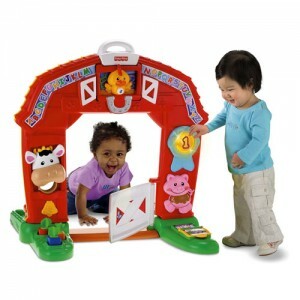 Priced at around $70, I think you’ll really get your money’s worth out of the Fisher Price Laugh & Learn Learning Farm . So if you’ve been looking for a great toy for your toddler, I’d heartily recommend that you consider this great toy. It sounds like something out of a soap opera, doesn’t it? But I am truly, madly in love with the Dyson DC25 Ball All-Floors Upright Vacuum Cleaner I was sent to review. So what makes the Dyson DC25 so fantastic? Maneuverability — I had my doubts about just how much easier the ball design would make vacuuming, but it really works! It makes it so much easier to roll the vacuum around tight corners. It’s smooth and effortless, and as a bonus, even the older kids can push it! Suction — I knew that we were nearing the time to replace our Hoover Windtunnel Upright, but I had no idea just how much dust and dirt it was NOT picking up. This was readily apparent the first time I took the Dyson DC25 for a spin. I was totally unprepared for the amount of dirt in the canister when I was done. I may as well have not vacuumed at all over the past five years that we’ve been in our house from the looks of it. I wish I had thought to take a picture before my husband dumped the canister — it truly was the height of ickiness. Convenience — I simply love the Telescope Reach wand feature. If I had a nickel for every time I went to use the wand on my Hoover only to find it MIA, I could probably have paid for the Dyson in change! But that’s not all — not worrying about replacing bags and the ease of emptying the canister rank high on convenience as well. Frankly, it’s got a pretty hefty price tag. At $499, it’s going to have to last quite awhile to offset the up front costs. With a five-year warranty, that shouldn’t be an issue. But what I found more compelling than the warranty was Dyson’s analysis of the maintenance costs of other vacuums over a five-year period. The Dyson clocks in at $0 because there are no bags, belts or filters to replace. However, they calculate that other vacuums could cost as much as an additional $445 over a five-year period if you perform the routine maintenance recommended by the manufacturer! So overall, yes, I am very impressed with the Dyson DC25, and I’m kicking myself for not making the investment years ago when my husband was trying to persuade me it was a good idea. Five kids and two dogs put a lot of wear and tear on our carpets, and I really think that we would not have the need to replace them so soon if we’d used a quality vacuum from the start. Do you own a Dyson, and if so, what are your thoughts on it? Or have you found another vacuum that you feel works just as well at a lower price point?